For as long as I can remember, CAD/CAM/CAE data (I’ll just refer to it as engineering data) has been saddled with a perpetual problematic issue – interoperability. That is, the ability (or inability) of a completely understood load of code to work with other current or future products or systems without any restricted access or utility. The term, interoperability, was originally defined for information technology or systems engineering services to allow for information exchange. A broader definition takes into account organizational factors that impact system-to-system performance. In other words, the tough task of building coherent services for users when the individual components are technically different and managed by different organizations. Wow, it’s still summer, but what a week for cloud-based CAD apps. First, Onshape for Android, and now this development from Spatial and Machine Research. Spatial Corp., a provider of 3D software development toolkits announced that Machine Research, a software provider that helps manufacturers increase efficiency and profitability, has leveraged Spatial’s 3D InterOp and 3D ACIS to launch the first Machine Research app for manufacturers, providing them with the ability to view, measure, collaborate, and translate virtually any CAD file type to any other file type on a secured cloud-based platform. Customers also can manage projects, utilize a visual search engine to find legacy projects of similar geometry, and customize and standardize the quotation process across their organization. BASIC service allows manufacturers to avoid the expense associated with multiple CAD seats and one-off translation tools for an easy, cost-effective viewer and translator on the cloud for a monthly subscription. PRO service (currently in Preview Mode) allows manufacturers the ability to search and find parts of similar geometry. Their search engine instantly gives users access to legacy parts of similar geometry to leverage the knowledge they’ve gained in the past to do things more efficiently and profitably going forward. It also allows users to take the multiple inter-connected spreadsheets out of the quotation process by providing a customizable quotation platform throughout their company. This year we’ve attended several technical meetings and conferences in the design, engineering, and manufacturing realms and have heard one concept/phrase repeated much more than anything else – Internet of Things (IoT). That said, we consider IoT to be the most significant technology of the year for 2014. Simply, IoT is a newer implementation and outgrowth of an older technology known as Machine-to-Machine (M2M). The Internet of Things (IoT) refers to uniquely identifiable objects and their virtual representations in an Internet-like structure. The term Internet of Things was proposed by Kevin Ashton in 1999, although the concept had been discussed since 1991. Radio-frequency identification (RFID) was seen as a prerequisite for the Internet of Things in the early days. The initial thought was, if all objects and people in daily life were equipped with identifiers, they could be managed and inventoried by computers. Today, the term IoT is used to denote advanced connectivity of devices, systems, and services that goes beyond machine-to-machine (M2M) communications and covers a variety of protocols, domains, and applications. Both of the technologies are expected to enable billions of new devices in the near future (I’ve seen forecasts of 20-100 billion connected devices by 2018 or 2020). In most M2M and IoT scenarios, the device being monitored and/or controlled contains an integrated sensor and wireless transceiver connected through a cellular, WiFi, or other wireless link to the Internet. Keep in mind that all devices are assigned an Internet Protocol (IP) address for unique identification and role purposes. The Internet connection communicates with a remote server that contains the application software. The monitoring device then makes an Internet connection to the same server to complete the service request loop. Data from the communication is then captured, displayed, stored, and control commands are issued as a result of it. 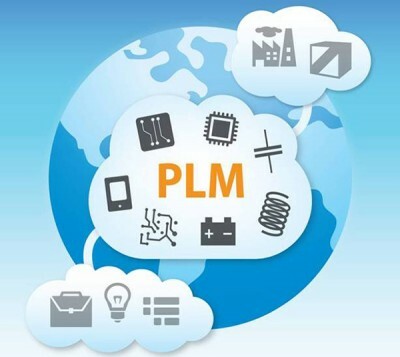 In mechanical design and engineering, while many of the hardware and software vendors have expressed interest in IoT, PTC has really embraced it and positioned it as a major part of their overall strategy going forward. 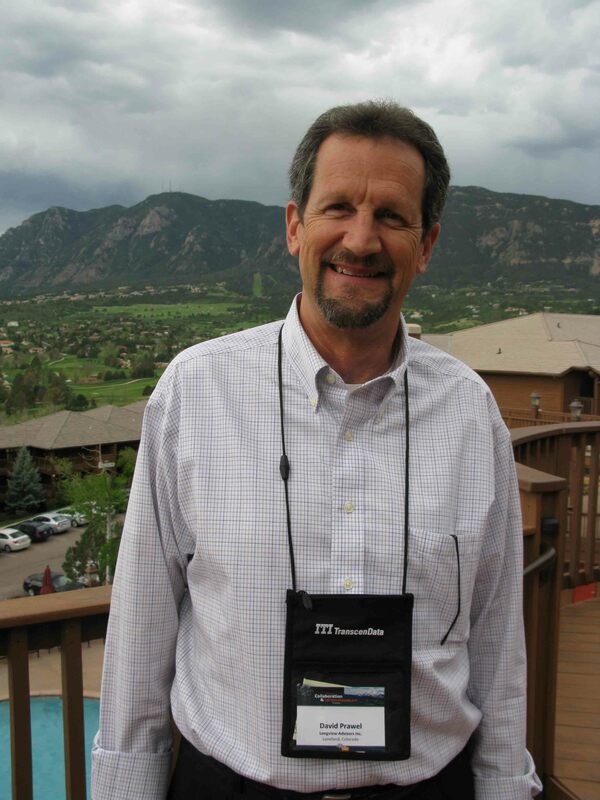 Last week I attended the 11th 3D Collaboration & Interoperability Congress (3DCIC) in Colorado Springs, CO as one of the event’s media sponsors. The three-day event focused on promoting and improving collaboration and data interoperability throughout the product lifecycle — from concept through retirement. For the first time this year, NAFEMS (the international association of the engineering modeling, analysis, and simulation community) held its fourth NAFEMS Americas conference, co-locating and coinciding with 3DCIC 2014. CIC distinguishes itself by being a vendor-neutral event that addresses collaboration and interoperability across several industries for product development, simulation/analysis, manufacturing, and overall business purposes. The theme of 3DCIC 2014, which attracted more than 250 attendees, was “Driving Product Development with Collaboration, Simulation, and Integration.” Progressive organizations have realized that the integration of design, analysis/simulation, manufacturing, downstream processes, and the supply chain are vital components for keeping them competitive and profitable. It’s really the underlying basis of the sought-after nirvana of PLM. This was also the focus of 3DCIC 2014 – the notion that collaboration is totally dependent on interoperability between disparate groups and processes. Although it was challenging to carve away time during the conference, I was able to sit down with David Prawel, Founder and President of Longview Advisors and 3DCIC for his take on the conference, as well as the current state of collaboration and interoperability. Collaboration & Interoperability Congress 2012: Where’s JT? This week we are attending the Collaboration & Interoperability Congress (CIC) 2012. CIC is a unique independent vendor/technology/product-neutral event that addresses collaboration and interoperability in manufacturing and business processes. The event seems particularly well attended this year and represents by a wide range of industries and standards bodies. One notable absence, however, was any representation from the JT camp — Siemens PLM Software. I would have thought that JT would take advantage of an event such as CIC to showcase and grandstand the data format. With no real presence, what are we to think? Is JT really as ubiquitous and pervasive as we have been led to believe? Maybe yes, maybe no. Admittedly, JT has its own conference this coming fall, but when just about every other interoperability technology provider shows up, why not JT? On the other hand, an organization that had a major presence was the relatively new 3DPDF Consortium. CIC is an interesting conference because collaboration and interoperability are undergoing huge changes, due in large part to clould-based computing, storage, and software as service. Will the cloud be used exclusively tomorrow? Probably not, but over time it will be increasingly used as a primary digital data creation and management platform. In any case, interoperability in the cloud will become a bigger and bigger issue with great challenges, but also great opportunities. Free viewers are largely what differentiate the above formats, but it was made clear that there is no such thing as a free viewer due to implementation and IP protection/security costs. The 3D PDF format really got a lot of attention, at least during the first day of the Congress. 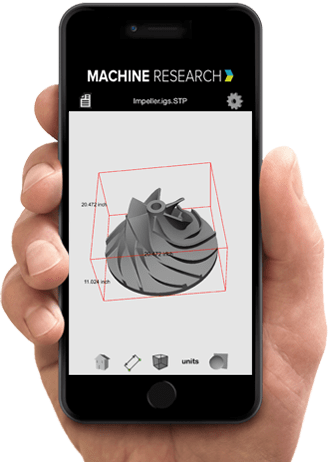 It seems the reasons for this are the industrial strength tools available for 3D PDF, excellent user acceptance, and the fact that PDF is a widely recognized ISO standard (ISO 32000). In the coming weeks, we’ll detail the advantages and disadvantages of each of the lightweight formats because they definitely have each. As its central theme, CIC drives home the point that like living creatures and technologies, when it comes to evolution, it’s not necessarily the strongest or brightest that survive, it’s those who are the most adaptable. I think this will prove true and apply to collaboration and interoperability going forward. I recently attended a web-based company update by way of a quarterly PTC Virtual Corporate Visit. Over 500 people registered for the event that featured Jim Heppelmann, PTC’s President and CEO, as well as a customer, Dave Winter, VP R&D Lifetime Products. This time, though, I’ll focus on what Mr. Heppelmann had to say. He started off by saying that PTC has a product and service advantage, meaning that PTC vision is being the premier provider of technology solutions that are transforming how products are created and serviced. PTC focuses on product companies and the processes that determine what and how they will create products and where and how those products will be serviced. What PTC is offering is not just better products and services, but rather, a better way of creating products and services. A recent study entitled, “Trends in Concept Design,” conducted by PTC, found that the majority of respondents are recreating concept designs once the concept design is released to downstream engineering stages. For example, recreating drawings, sketches, and models that were generated during the concept phase and released to the engineering department for further development. This approach is known as throwing a design “over the transom,” not knowing how the final product will be realized as compared with the original design intent from the concept phase. Clearly, this approach is not only inefficient, but also usually contributes to too many unexpected and undesirable results between the concept stage and the marketplace. Fortunately, today there are tools and approaches to help manufacturers eliminate the need for data recreation, streamlining the concept design stage of product development and downstream engineering processes. Even at the concept stage, manufacturing companies are increasingly reusing existing design data instead of creating everything from scratch – a potential big time saver reusing design data that is already known to work. At the concept stage, using a tool, such as Creo Direct, you can create regular geometry for 3D purposes. In Creo Direct, you can create and edit 3D designs through direct interaction with their geometry. You can make changes to the basic design elements at any point with little impact to the overall design process. The resulting geometry is compatible with all the Creo applications, including Creo Parametric that is used for refining designs downstream in the product development process. In fact, even 2D sketches captured with Creo Sketch are compatible with Creo Parametric. The Creo Sketch and Creo Direct user interface is similar to that of Creo Parametric, and so supports and streamlines the design process. Creo Parametric can share data seamlessly with other Creo apps, notably Creo Direct and Creo Simulate. This means that time is not wasted on data recreation or translation, resulting in costly errors. Users can seamlessly move between different modes of modeling and 2D and 3D design data can easily move between apps while retaining original design intent. This all provides a very high level of interoperability productivity gains throughout many product development processes between design and engineering groups. In the end, successful product development, from the concept stage, to engineering, to production all comes down to interoperability between the various groups at various stages and the tools they use. Interoperability is vital for optimizing collaboration between groups and stages and for maximizing the potential for a product’s ultimate success.